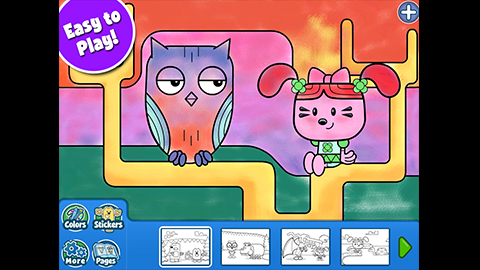 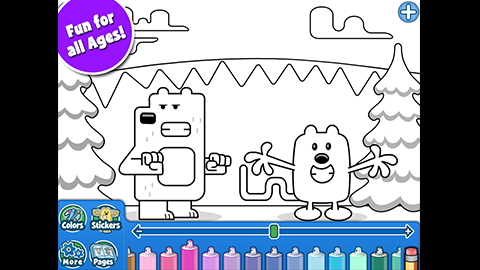 Wubbzy’s Animal Coloring Book lets kids tap-to-paint bright, colorful scenes starring Wuzzleburg’s favorite residents. 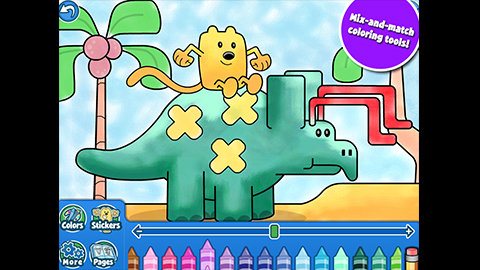 Meet the giant sillyasaurus, style the snappity snap turtles, and discover many more lovable Wubbzy friends! 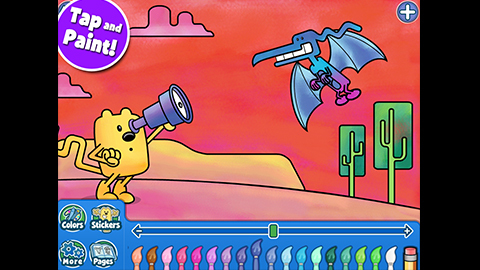 • Multiple effects, including spray paint, chalk, brushes, and even a bucketful of paint! 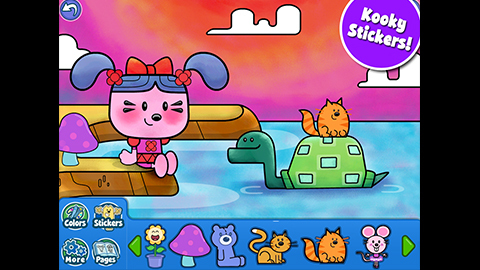 • Simple tutorials for kids of all ages!